Bathrooms are subject to plenty of hard use each and every day. It is not that surprising, then, that bathrooms need frequent renovation and redecoration. Here is how to make your next bathroom renovation an easy one! Before you buy anything, plan out your new bathroom thoroughly. Measure the available space, check plumbing points and double-check absolutely everything. 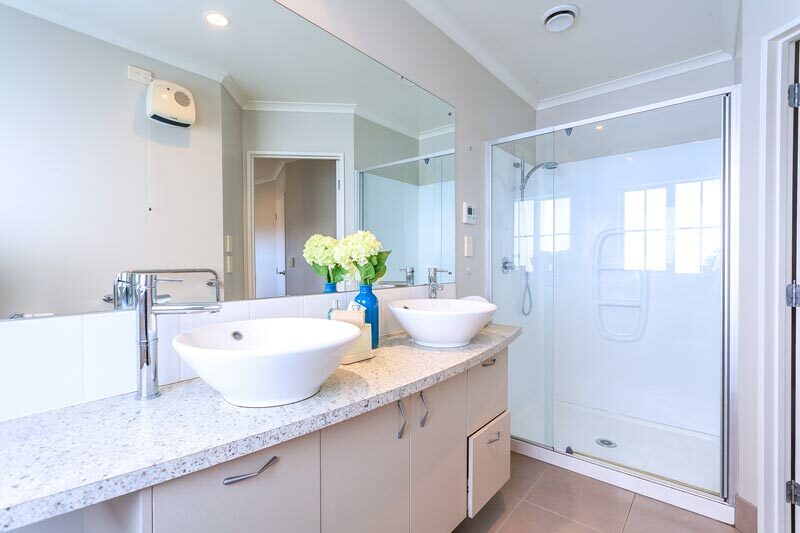 If you have a friend or family member who has recently completed a bathroom renovation ask them if there is anything that you may not know about as yet, some snag that occurred half-way through their work. If you do not know anyone having this work done, pop into a hardware or DIY store or speak to us, we specializes in bathroom installations. We will be able to give you some good pointers and can help you to avoid costly errors and omissions. Have a good idea of what you want your bathroom to look like, and allow a reasonable budget for the whole project. Only once you have worked out every step on the way to your new bathroom should you begin to buy the items you will need. Pick a bath tub, basin and other features that fit into the available space. Choose sturdy products that will last well, always buying the best quality that you can afford. Try to avoid faddy items as fads pass and the moment it does your bathroom will default to being dated. Redoing the bathroom floor is a great way to give your bathroom a shiny and new appearance. Whether you are laying floor boards, using ceramic tiles or using vinyl plan the layout of the floor carefully, designing any patterns from the center of the bathroom floor. Starting at one side may seem easier but you can end up with a skewed pattern which can be disconcerting! Plan the whole renovation process carefully, and take the time to paint the walls while the bathroom is empty of all fittings, fixtures and storage units. This will help you to apply a couple of even coats over the whole wall surface, without needing to navigate past any blockages – and will help to keep your tub, furniture and so on clear of streaks and drips of paint too! Finally, always allow for enough storage in your new bathroom. It cannot be underestimated how much storage is needed in a bathroom, so go to town on it and squeeze in shelves, cupboards, niches and hideaways in every available inch of space!